I made the trek up to NAHBS this year to pick up my second Jonny Cycles. This new one has been nick named, by Jonny, "Super Skinny", a nice complement to "Big Pink". 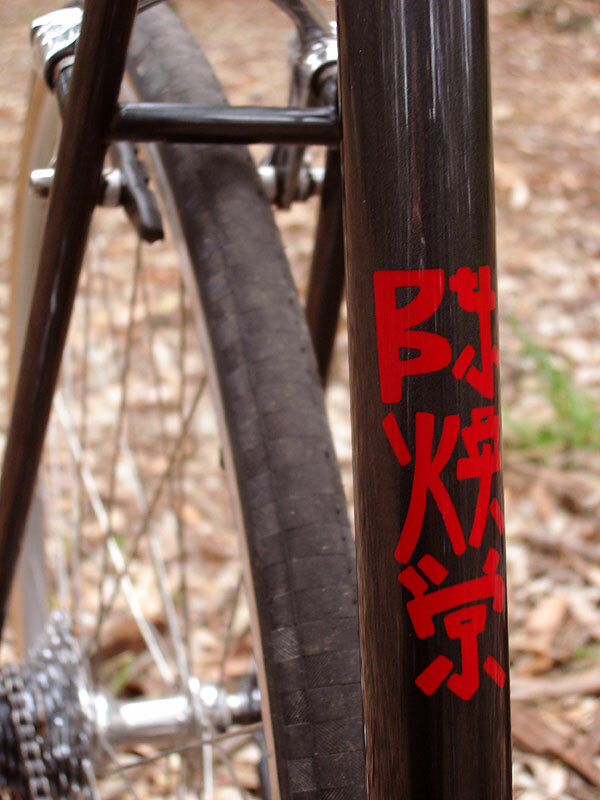 Super Skinny was conceived at the 2006 NAHBS, (Big Pink's first show). 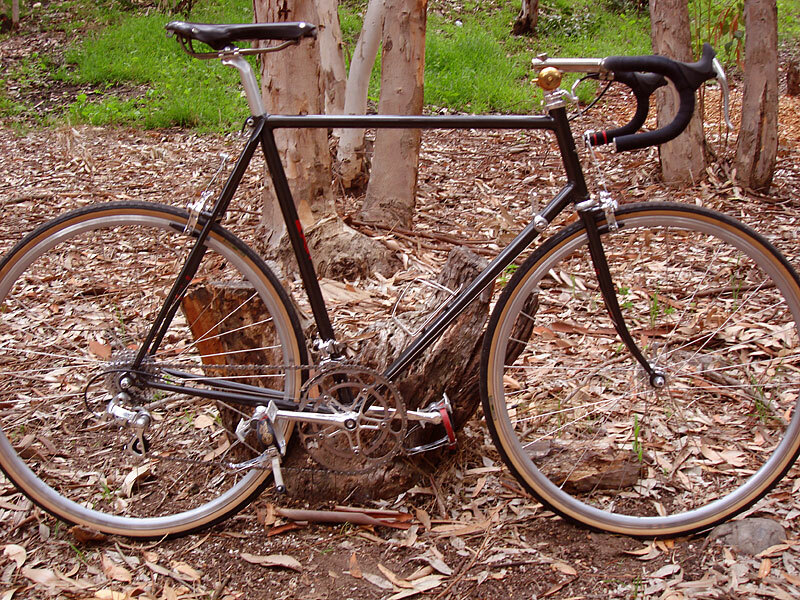 After talking to Jonny I decided I wanted an aesthetically minimal bike with skinny tubes. This is Jonny's interpretation. 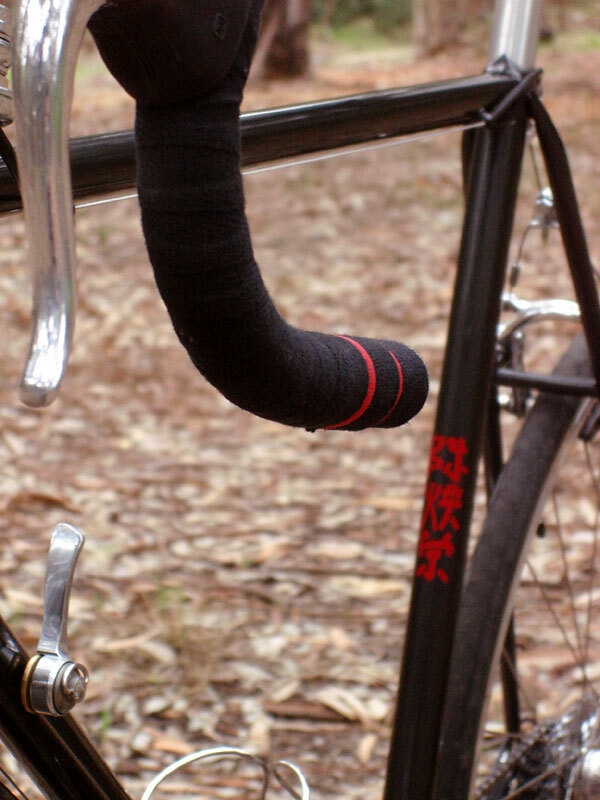 The bike uses Nagasawa lugs, super skinny G.P. Wilson dropouts, and a highly modified Zeus track crown and tiny 22 mm. fork blades. Jonny also included a stunning highly polished titanium stem. Most of the components are contemporary 10 speed Campy, with no carbon bits. Jonny modified and polished some bar end shifters to give me 10 speed indexing down-tube shifters.The cranks are Top Line, with Boone Titanium rings. 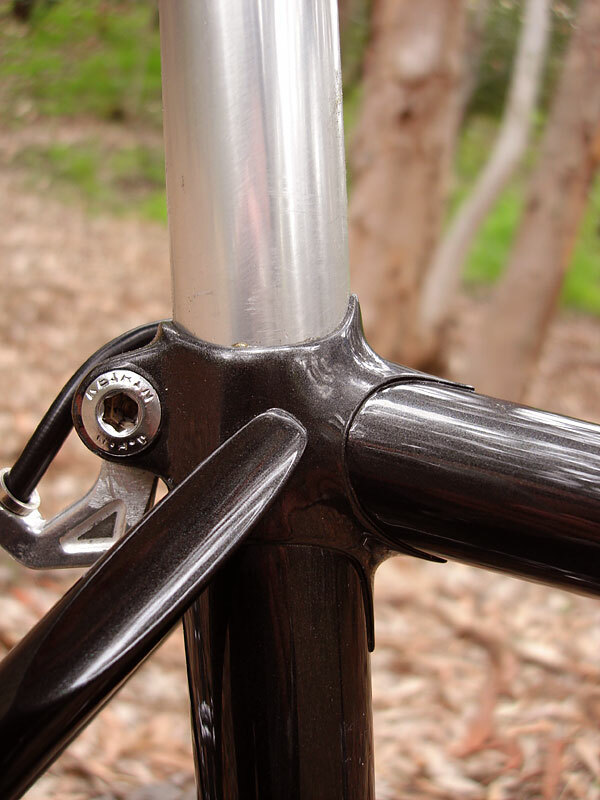 Nitto bar, seat post and cage. 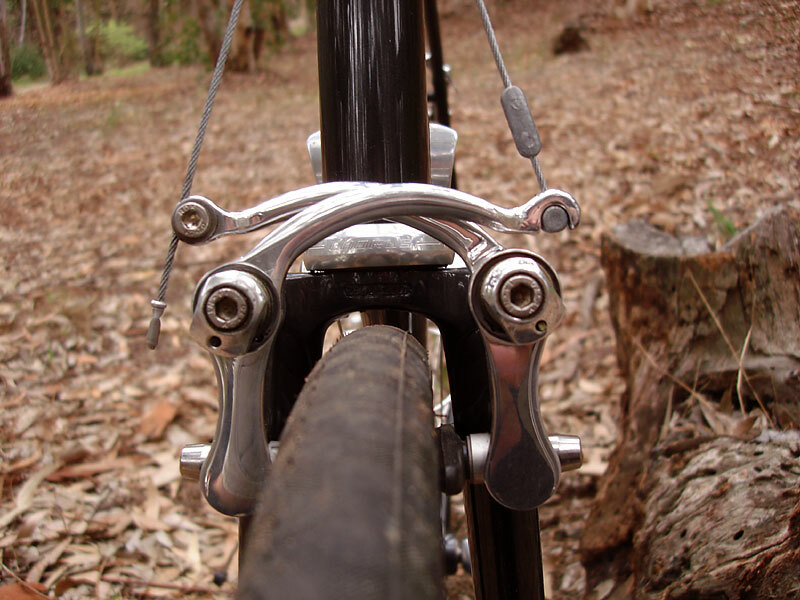 Swallow saddle and Diacomp levers. The brakes are the show stoppers, highly modified carved down Paul Racers, best of all they no longer say PAUL. The brakes were chosen to accentuate the cute little Zeus crown. I live in Orange County, so I have no need for lots of clearance or fenders, this is my primary road bike, and Big Pink my primary mountain bike, they make quit a pair.